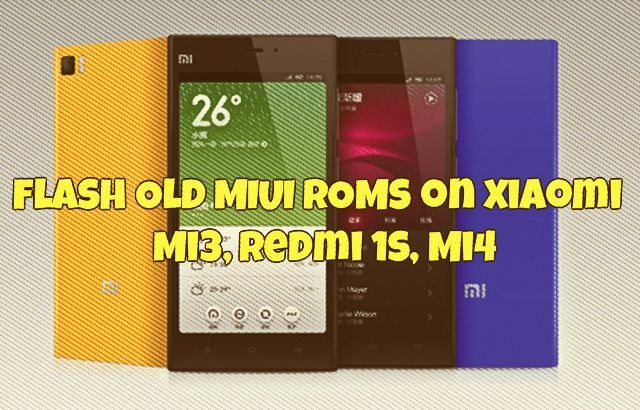 In case if you are not happy with the new MIUI ROM on Mi3, Redmi 1s, Mi4 Xiaomi android smartphone and facing some issues with the ROM and want to go back to the OLD ROM. But don’t know how to downgrade your Xiaomi phone and how to flash the OLD Roms. 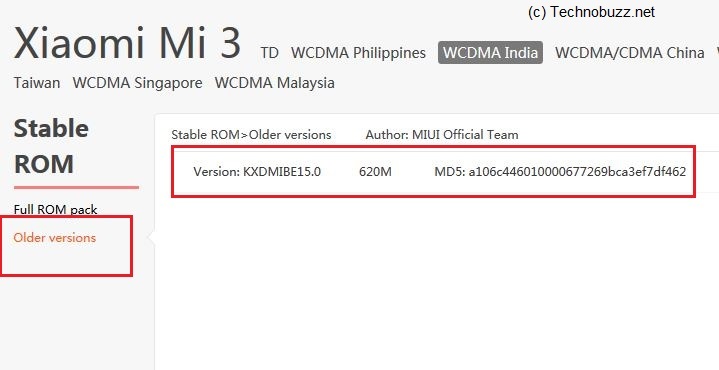 Here is the complete guide which you can follow on any Xiaomi Android phone like Mi3, Redmi 1s, Mi4 and install the previous version of ROM. The process is simple and all you need the previous ROm version to flash it. The method is little bit tricky and not same as the Flash new ROMS. Flashing a newer version of MIUI ROM doesn’t need to wipe data, but flashing an older one does. Yes you need to Wipe data and cache to flash the old version of ROM on your device. Before following this guide do take the full backup of your device and save the backup file in some safe place. 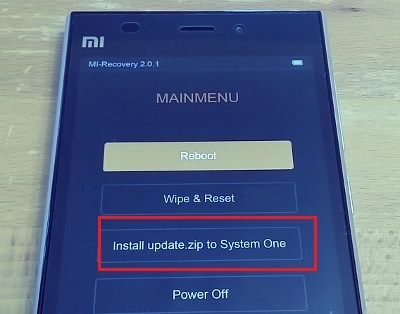 Read our guide here how to take the full backup of Xiaomi device. After this read all the instruction very carefully and follow all the below mention steps one by one on your device. Step 1. First you have to download the MIUI ROM on your desktop. Visit this page and select the device for which you want to download the ROM. Step 2. Once you are on the Download page, click on the “Old Version” and download the ROM file on your desktop. Step 3. Rename the downloaded ROM File to update.zip and move the zip file on your phone internal SD card. Step 4. Launch the Update app on your device and press the Menu button, and select Reboot to recovery mode. or turn off the phone, press the Volume+ key and the Power button at the same time, wait until the screen wakes. Step 5. Once your phone is in recovery mode. From the menu select “English”. (use the volume keys to select,and the Power button to confirm). Step 6. Now from the main menu select “Wipe & Reset” option. Step 7. From the next screen tap on the “Wipe Cache” and after that “Wipe User Data” and select Yes. Note: When wiping data is at 98%, wait for a while as it takes few minutes to complete. Step 8. Now go back to the recovery main menu and select “Install Update Zip” option. Step 9. Select Yes to confirm and the update will begin installing. Step 10. Once the installation is one reboot your device. Select the option “Reboot to System One (latest)”. Now you phone is running on the OLD rom version. For more Xiaomi Tips click here.